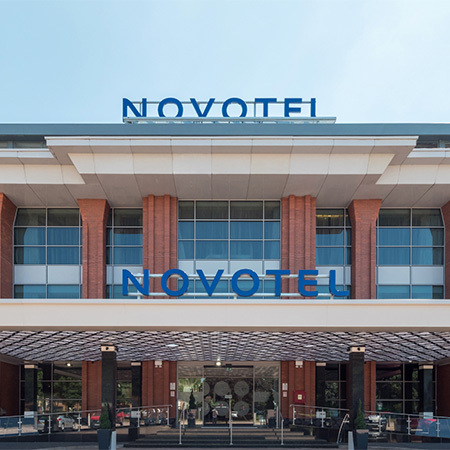 GEZE UK have helped new airport hotel The Novotel at London Heathrow T1,T2, and T3 with a range of products. 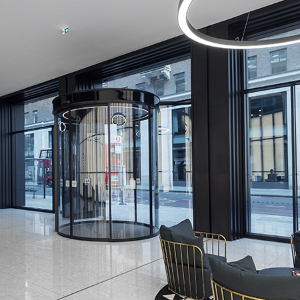 Two sets of GEZE Manual Sliding Wall (MSW) systems – consisting of a total of nine glazed panels with two pass doors – were installed, incorporating natural patterns and forms from the air, sky and clouds. 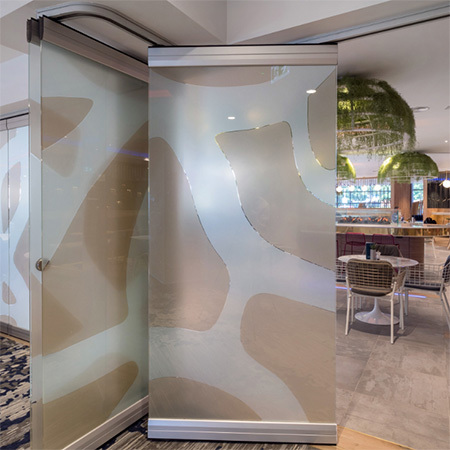 They present a showpiece room divider between bar and restaurant areas that allows the floorspace to be opened out or separated for different uses, such as private functions or breakfast service. The first set of six panels have a screen size of 5010mm with the second having three panels and an overall screen size of 3294mm. Both sets are 2400mm in height and discretely locks into the next one via a floor locking device, which is completely hidden from view. A recessed roller track is fitted above to further enhance the sleek appearance whilst its SmartGuide system enhances functionality. 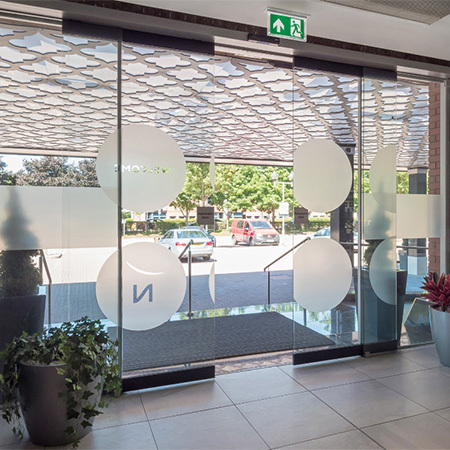 GEZE have also assisted with the entrance of the hotel, providing a pair of automatic sliding doors, fitted with pocket screens for extra safety and powered by Slimdrive SL NT operators. Slimdrive SL NTs are almost invisible and have a height of just 7cm. They are virtually silent in operation and can move leaf weights of up to 125kg. 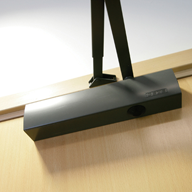 Also fitted were 300 TS 2000 NV BC overhead door closers to bedrooms and public areas. These closers are suitable for doors with up to 1100 mm leaf widths and provide fire and smoke protection. 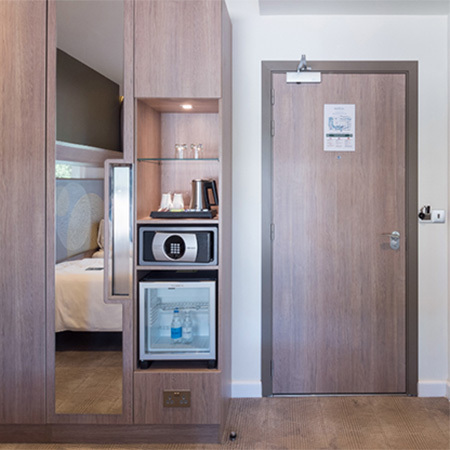 They have an adjustable closing force which means that they can be balanced to reduce noise from guests entering or leaving their rooms.